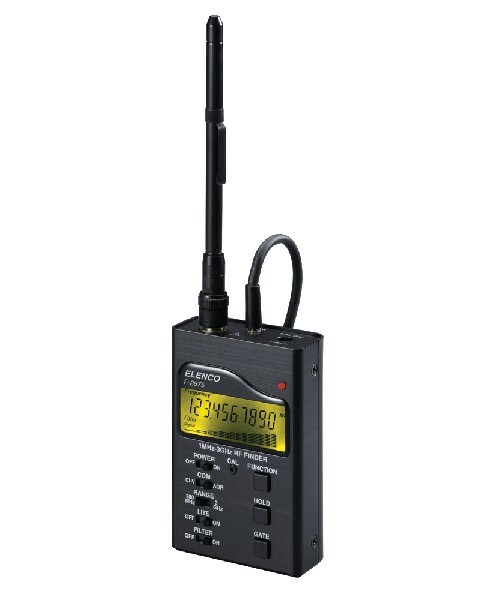 NOTE: This item has been discontinued and replaced by the F-2850, click for info. Ultra-sensitive, synchronous detector - 16-section bargraph to show RF signal strength. High speed 300MHz direct counter with 0.1Hz resolution. Filter to prevent display of random noise. Automatically holds and tunes ICOM CI-V or AOR receivers. Supplied with NiCd pack, AC wall charger, 7 section telescopic antenna.